Finland and Japan are advancing the circular economy together in Asia. The Finnish Innovation Fund Sitra, which was named as the number one public-sector circular economy accelerator in the world in the Circulars Awards 2018, in Davos, Switzerland, and the Ministry of the Environment of Japan are co-hosting the World Circular Economy Forum (WCEF) between 22 and 24 October in Yokohama, Japan. 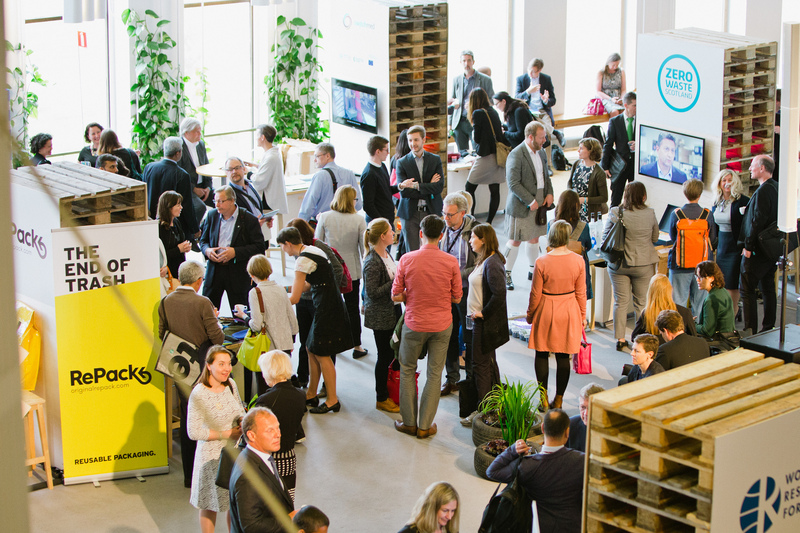 WCEF will present the world’s best circular economy solutions and will bring together key circular economy thinkers and doers from around the world. The landmark event of the year will examine how businesses can seize new opportunities, gain a competitive advantage through circular economy solutions and how the circular economy contributes to achieving the UN Sustainable Development Goals. The WCEF’s co-organisers include the European Commission, the United Nations Environment Programme, and the Ellen MacArthur Foundation. The first WCEF was organised in Helsinki, Finland in 2017 and this year’s event is the second of its kind and the first WCEF to take place outside Europe. In 2018, the WCEF aims to further circular economy co-operation globally. The EU has a crucial role to play in advancing the circular economy globally, and the World Circular Economy Forum works as global accelerator for the circular economy, supporting collaboration between organisations and the public and private sectors. “Japan has been establishing its own circular economy strategy for over 20 years, and will publish the fourth version of the strategy soon. The World Circular Economy Forum offers a great platform to deliver the essence of this polished strategy to the world,” says Masayoshi Kurisu from the Ministry of the Environment of Japan. The World Circular Economy Forum 2018 will examine the circular economy’s global status in the year 2050, and the impact of international co-operation. Topics that will be discussed at the forum include economic benefits and social equity of the circular economy, energy and climate solutions, circular trade, future transportation and circular solutions for reducing marine plastic waste. The WCEF will also highlight the story of how Japan has become one of the leading circular economy nations in the world. The WCEF’s themes include laying a foundation for 2019, when Finland is due to hold the presidency of the EU Council (July to December 2019) and when Japan will host the G20 summit. The WCEF is proud to have some of the world’s top business leaders, policymakers and researchers speaking at the 2018 event. The speakers include the Japanese Minister of the Environment, Masaharu Nakagawa, Finland’s Minister for Housing, Energy and the Environment, Kimmo Tiilikainen, the former Brazilian Environment Minister Izabella Teixeira, Co-Chair of the International Resource Panel of the United Nations Environment Programme, Janez Potočnik, and the President of Ishizaka Sangyo, Noriko Ishizaka. The first World Circular Economy Forum in Helsinki, Finland, brought together 1,600 participants from nearly 100 countries. More than half of the participants represented businesses. The circular economy is the new paradigm for business, which aims for economic growth through new sustainable business models. The circular economy could generate USD 4.5 trillion of additional economic output by 2030, according to new Accenture (NYSE: ACN) research that identifies circular business models that will help decouple economic growth and natural resource consumption while driving greater competitiveness. The Finnish Innovation Fund Sitra and the Ministry of the Environment of Japan are co-hosting the World Circular Economy Forum 2018 (WCEF) between 22 and 24 October in Yokohama, Japan. In June 2019, the World Circular Economy Forum will again be held in Helsinki. The WCEF examines how businesses can seize new opportunities, gain a competitive advantage through circular economy solutions and how the circular economy contributes to achieving the UN Sustainable Development Goals. The WCEF 2018’s sessions will be live streamed at www.wcef2018.com. More information about digital participation can be found on the website closer to the event. The Finnish Innovation Fund Sitra was named the number one public-sector circular economy accelerator in the world when Sitra won the public-sector category of the Circulars Awards 2018 for its pioneering work to accelerate the world’s transition to a circular economy. Read more at www.wcef2018.com and take part in the conversation online on Twitter, Facebook and Instagram @SitraFund and with hashtag #WCEF2018. Press accreditation for the WCEF 2018 will open in September 2018. Press photos from last year’s event here. Crumbling world trade – or start of the new, circular era?